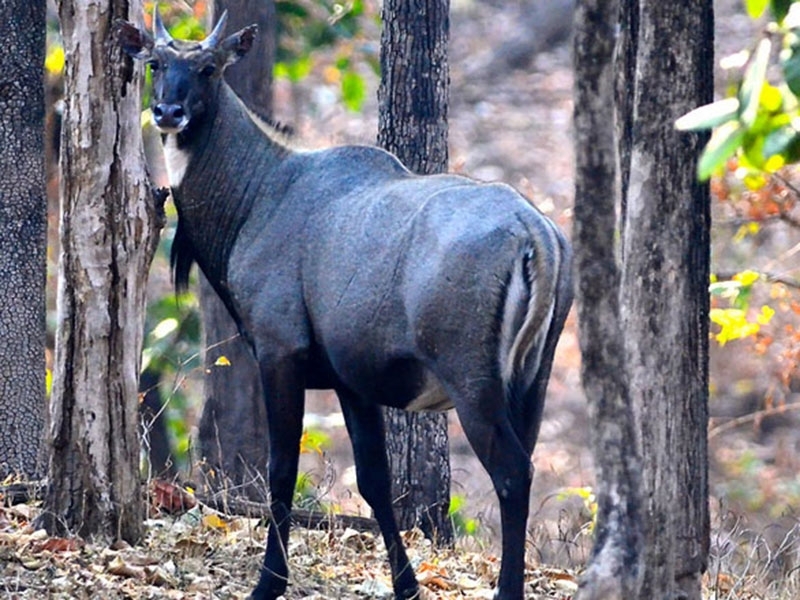 One of the most popular and famous national park in the state of Chattisgarh happens to be the Indravati National Park. 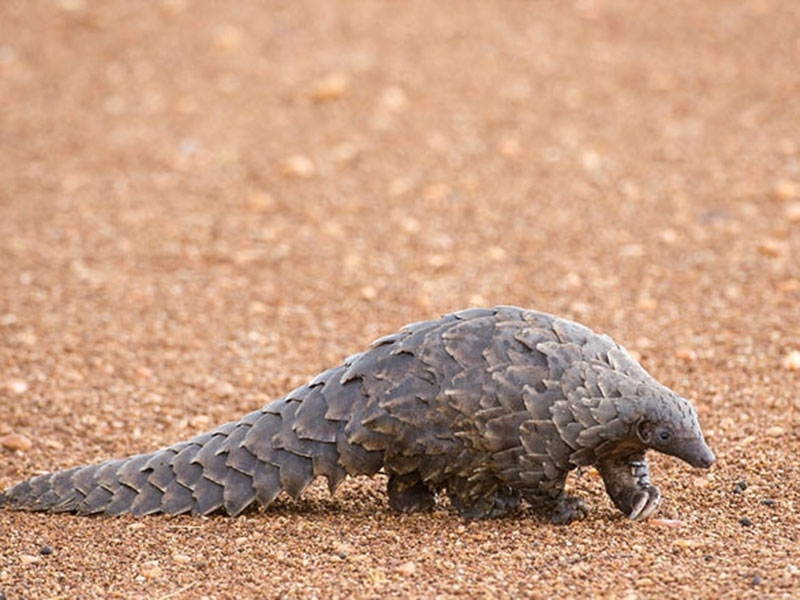 Dotted with plenty of wild lives, this national park has become one of the major destinations for the wildlife lovers. You can enjoy the beauty of the nature at its best during your visit to the Indravati National Park, Chhattisgarh. 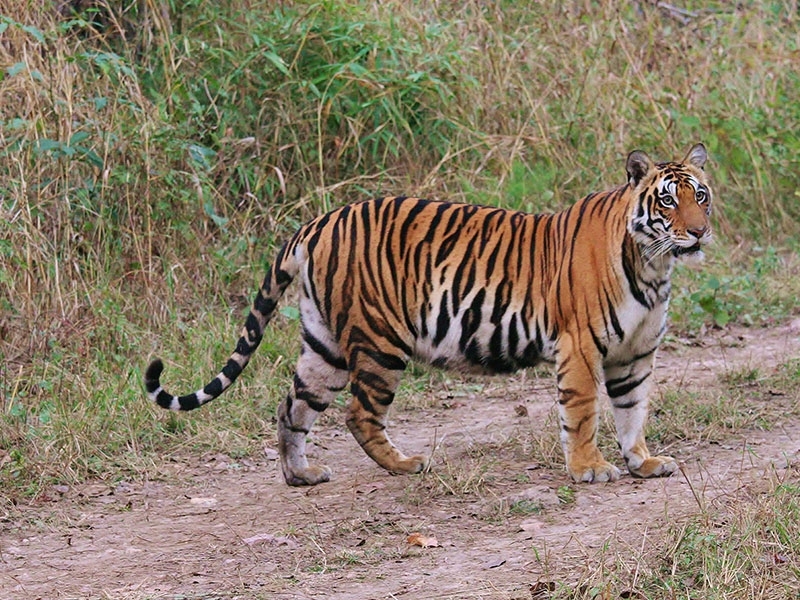 It is all the more famous because of being the only Tiger Reserve present in the state. 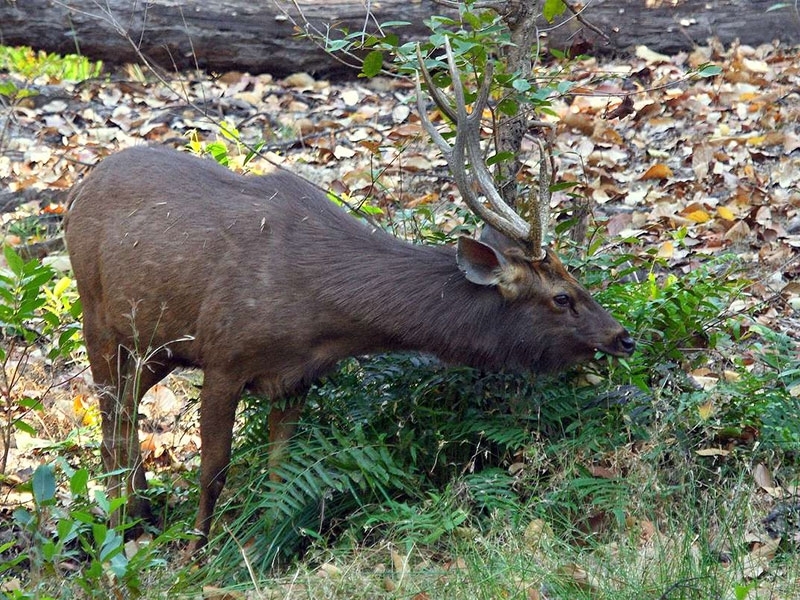 You can locate Indravati National Park at the Dantewada district of Chhattisgarh. The national park has been named after the Indravati River, which flows along the northern boundary of the national park. It covers a total area of about 2799.08 square kilometers and has been recognized as the National Park in the year of 1981. In the year of 1983, this national park got its recognition as the Tiger Reserve under the renowned Project Tiger of India It is one of the most important tiger reserve in the whole of India. 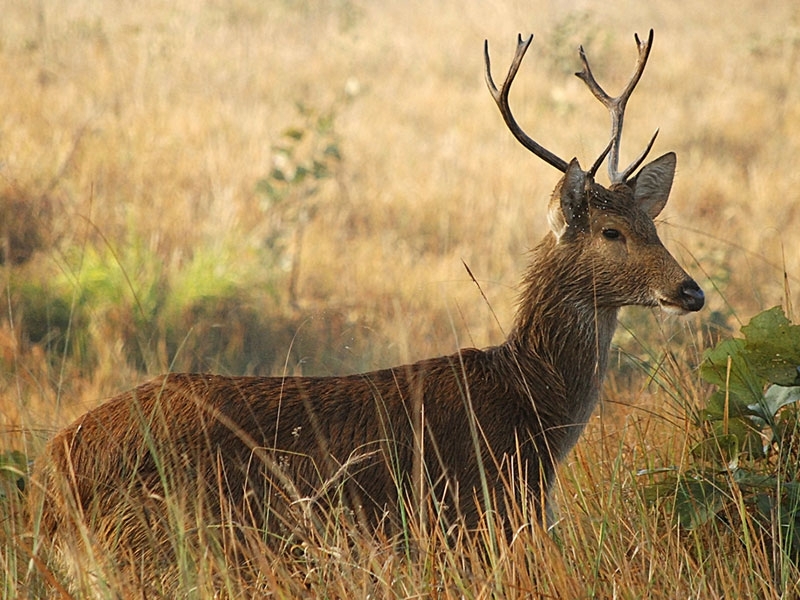 The undulating hilly terrain of land marks the topography of Indravati National Park, Chhattisgarh. It is placed at the altitude of 177 to 599 meter above the sea level. 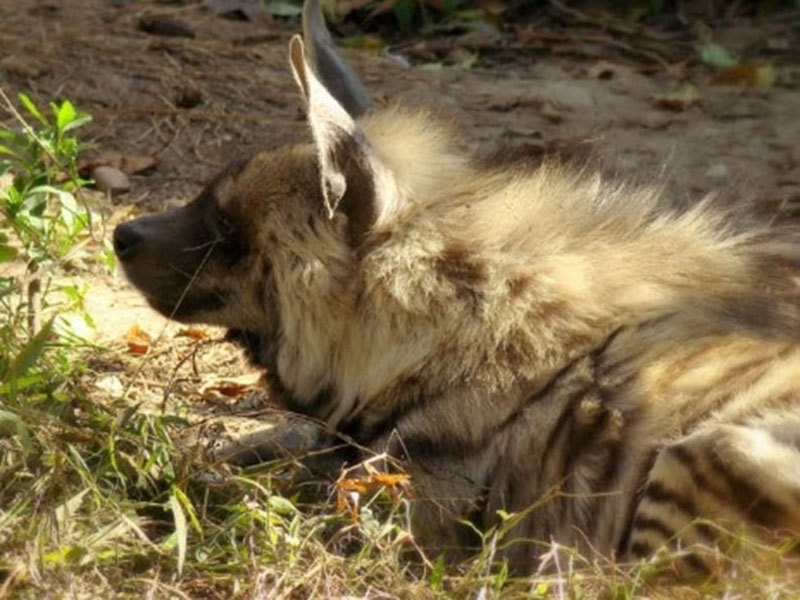 You can find plenty of most endangered species which are protected inside the park. The unique wildlife and avifauna makes this national park a paradise for the nature lovers. 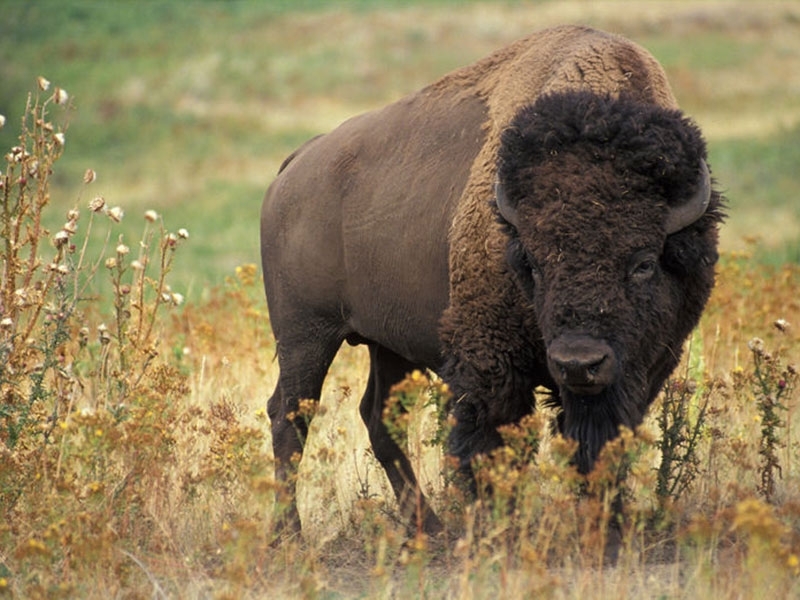 Here, you can find wild buffalos and hill mynas, which are endangered. You can spot the wild animals amidst the lush greenery. This national park is a must visit destination for the nature lovers. 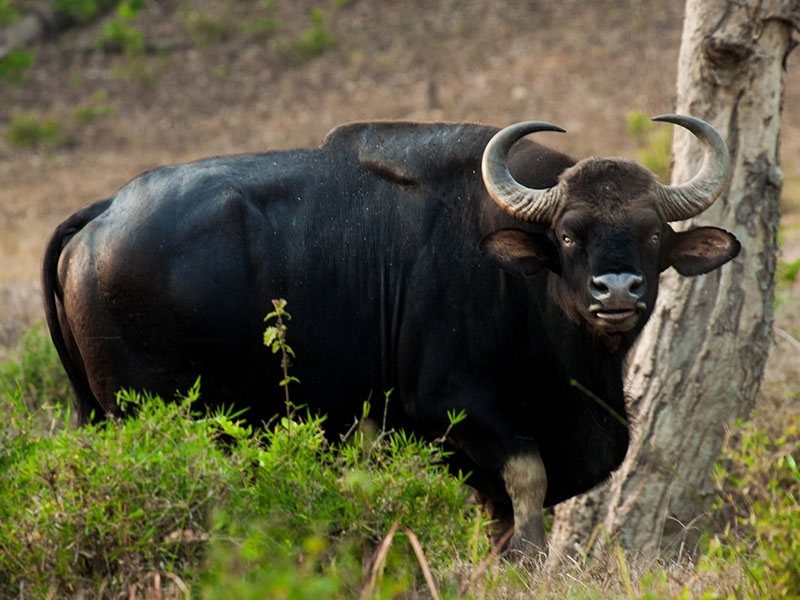 The wild lives, which you can spot in the wilderness are wild buffalos, nilgai, sambar, barasinghas, leopards, tigers, gaurs, monkeys, sloth bear, dhole, striped hyena, flying squirrel, muntjac, wild boar, chausingha, porcupine, pangolins, langurs, monitor lizard, indian rock python, common krait, indian chameleon, freshwater crocodile, cobra and russell’s viper. Among the fauna, you can find sal, teak and bamboo trees. Indravati National Park is rich in biodiversity with extensive flora mainly comprises of tropical moist and dry deciduous type with predominance of the Sal, Teak and Bamboo trees. There are also rich patches of finest grasslands providing fodder to the Wild herbivores of the park. The most commonly found trees in the park are Teak, Lendia, Tendu, Haldu, Ber, Semal, Mahua, Salai and Jamun. Indravati National Park hosts the major wildlife include the endangered Wild Buffalos, Barasinghas, Leopards,Tigers, Gaurs (Indian Bison), Nilgai, Chausingha (four-horned Antelope), Samabr, Sloth Bear, Dhole (Wild Dog), Wild Boar, Flying Squirrel, Muntjac, Striped Hyena, Pangolins, Monkeys, Porcupine and Langurs and so many others. 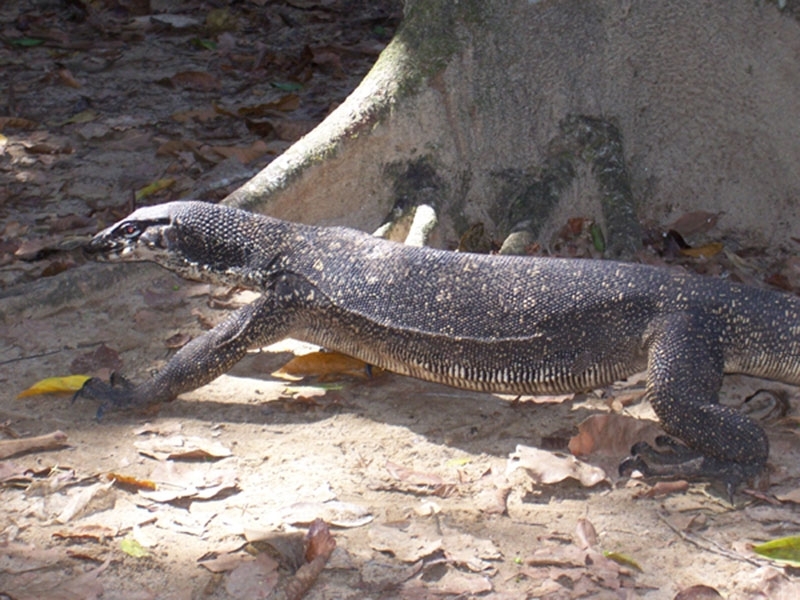 The commonly found reptiles in the park are Freshwater Crocodile, Monitor Lizard , Common Krait, Indian Rock Python, Indian Chameleon, Cobra and Russell’s Viper to name a few. The Indravati National Park is an ideal place for bird watchers sheltering to the large variety of birds of which Hill Maina is the most important species here. 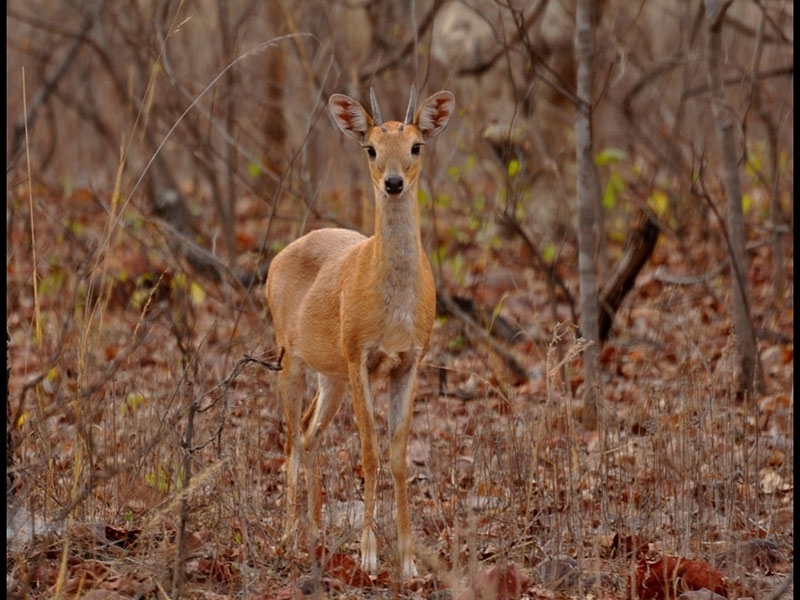 The best season to visit Indravati National Park, Chhattisgarh is during December to June. 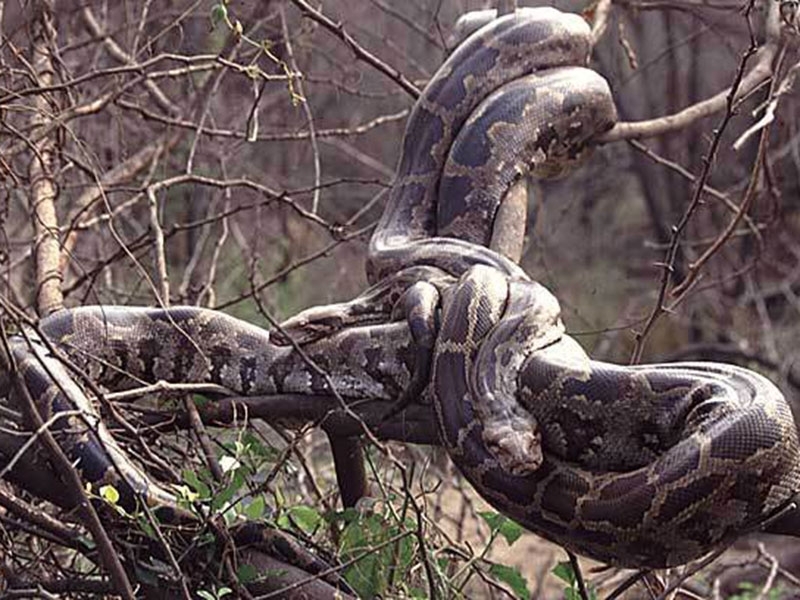 Jagdalpur is the nearest railway station to Indravati National Park. 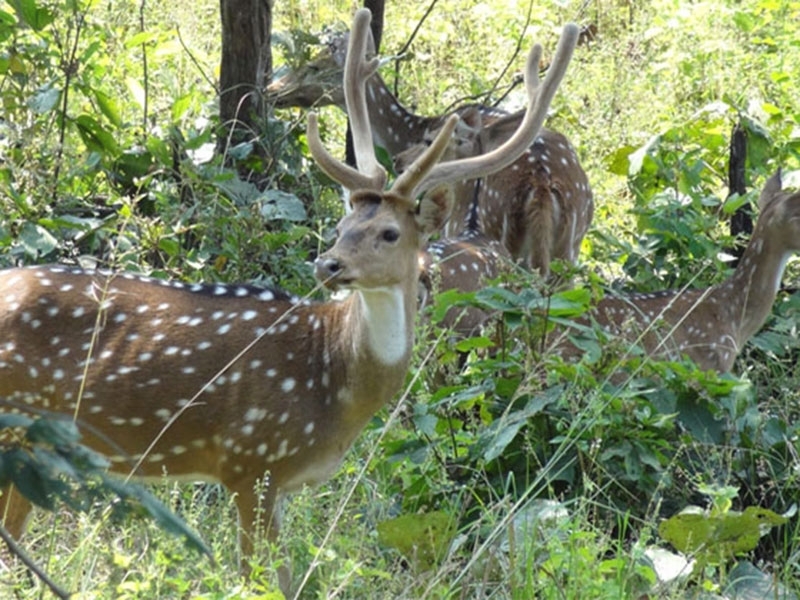 Indravati National Park is easily approachable from Jagdalpur, the district headquarters of Bastar. Kutrue is the main entry point of the park which is situated 22.4 km north of Jagdalpur- Bhopalpattanam road. The Kutrue link road is at the distance of 145.6 km from Jagdalpur. Several lodges, guesthouses and hotels are available in and around Jagdalpur for lodging purpose.